Ruby Cooper likes to expect the worst. That way, she's never disappointed. Abandoned by her mother and forced to leave the house she calls home, Ruby is facing too many changes. Her lonely world has been transformed into a life of luxury by her long lost sister, but all Ruby wants to do is leave - she can make it on her own. Even Nate, the gorgeous boy-next-door can't seem to change her mind. Will Ruby realize first impressions don't always count? And that sometimes, people can surprise you, so it's ok to let the closest ones in . 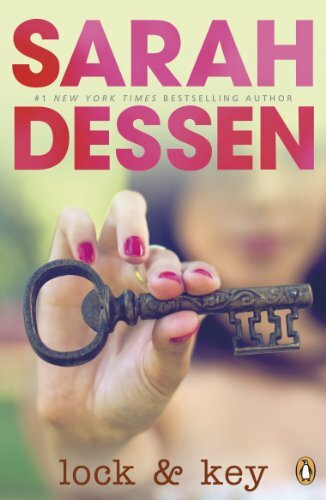 . .
Sarah Dessen is one of America's most successful writers of teenage fiction. Her books have won various awards, many of them spending several weeks on The New York Times bestseller list. Sarah lives in the countryside in North Carolina with her husband, some lizards and two very spoilt dogs. Sarah's following in the UK is growing all the time and this latest novel follows the acclaimed Just Listen and The Truth About Forever.